a reckoning, deeds and misdeeds. laid on its lectern open to the penultimate page. of One will offer a standing ovation. of those sweet waters, I thought, I’d be home free. I keep her photo in my wallet. find it and say, What a lucky guy. From Stone. Bread. Salt. which will be published on 26 April. You are welcome to join us at the launch party on Sunday 29 April from 4 to 6 pm in the Resource Room, JW3, 341-351 Finchley Road, London NW3 6ET. Please contact the publisher, bernadette@hollandparkpress.co.uk, if you would like a review copy. In this very personal collection of poems Norbert Hirschhorn takes stock of his life and gives voice to his quest to pass on the experiences of the generations before him. As the title suggests Stone. Bread. Salt. combines seriousness with playfulness, and saying goodbye is contrasted with new beginnings. In the opening poem, Three Score and Ten, the author takes a serious look at his life whereas in Life-Course Department Store he measures out a life in department store goods. Norbert Hirschhorn experiments with rhyme and metre, free verse and prose poems, yet they all are in his inimitable voice, and together they tell a story. stir up trouble, you’ll be blamed. or they’ll make you wear the yellow star. What makes this collection extra special is Norbert Hirschhorn’s work on translating some of Fouad M Fouad’s poems from the Arabic. Working closely with the author, a medical professor, poet and Syrian exile this resulted in four remarkable poems: Killers Live Long, After the Barrel Bomb, Canon Lens 18-300 mm and The Wolf in the Hospital Corridor. This collection sweeps you along from London to New York and the Middle East and back again. At some points Hirschhorn almost literally stops readers in their tracks by using the + sign. Each poem can be savoured on its own but together they paint a picture of a thoughtful poet and American Health Hero (to quote Bill Clinton) trying to catch the essence of life to hand it down to the next generations. Stone. Bread. Salt. was published on 26 April 2018. For more information or review copies please contact the publisher: bernadette@hollandparkpress.co.uk, +44(0)7792611929. 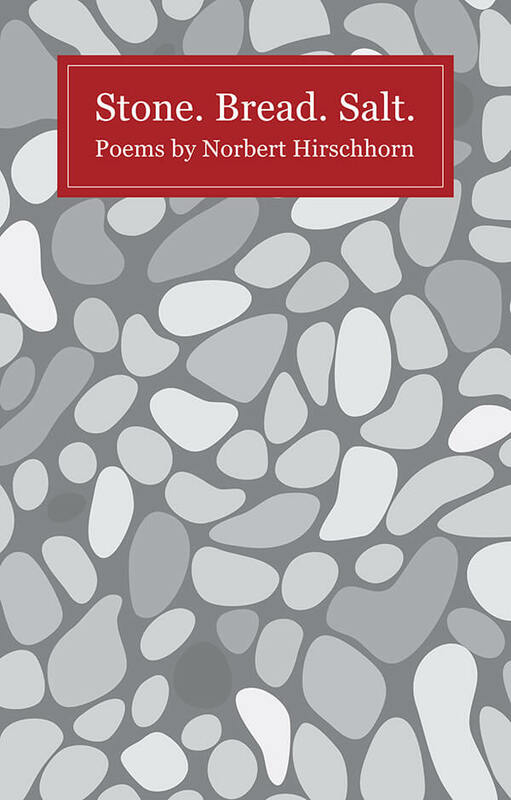 Norbert Hirschhorn is the author of To Sing Away the Darkest Days –Poems Re-imagined from Yiddish Folksongs, published by Holland Park Press in 2013. ‘Norbert Hirschhorn’s new collection draws deeply on his Jewish heritage and contains poems that are honest, compassionate and wise.